Freeman Audio Visual Canada is a company specializing in audio-visual services. Founded in 1982 under the name TELAV Audio Visual Services, the company has since expanded to include over 70 offices in North America and the United Kingdom. Jennifer Rabanillo & Associates is an event and design company with over 20 years of experience in turning event dreams into reality. 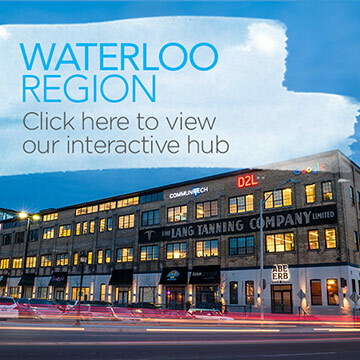 LOT 42 is 17-acre business and event campus in Waterloo Region. It was built in 1955 by Rudolph Adelt and transformed into this unique event space in 2016. This global flex campus provides space for use by the arts, technology, manufacturing, athletics and community events.